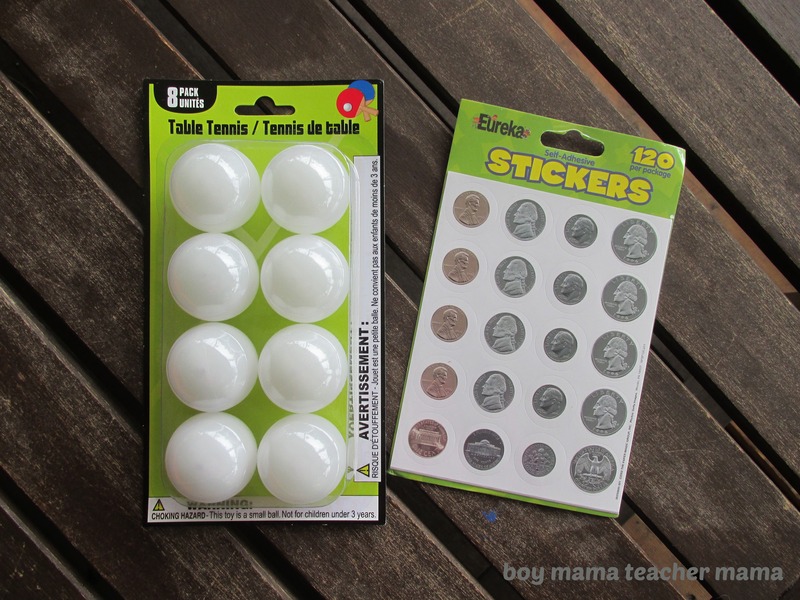 Stick one coin sticker on each ping pong ball. 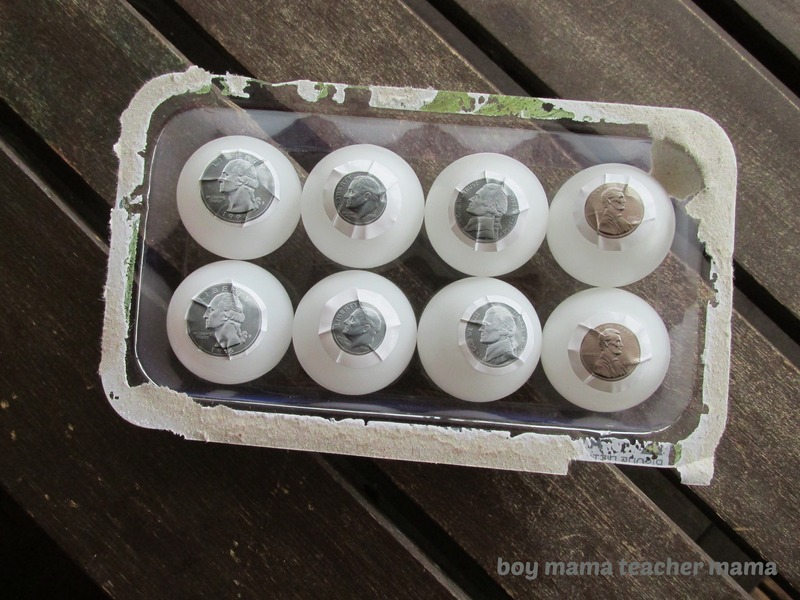 I used two packages of balls and on the second set added 4 pennies, 2 more nickels and 2 more dimes. Set aside the completed balls. 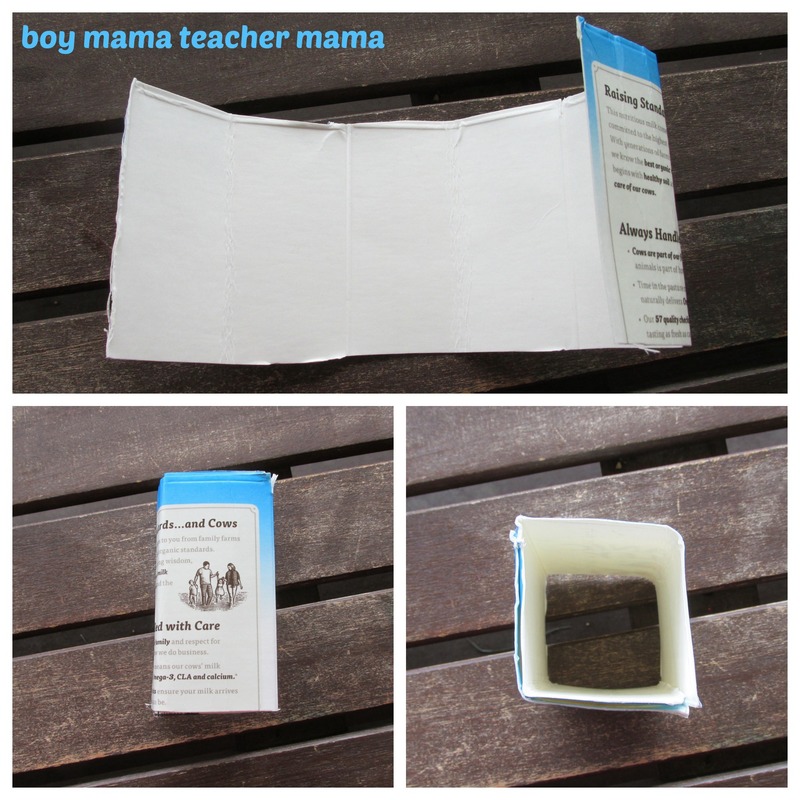 Clean and dry a milk/juice carton. 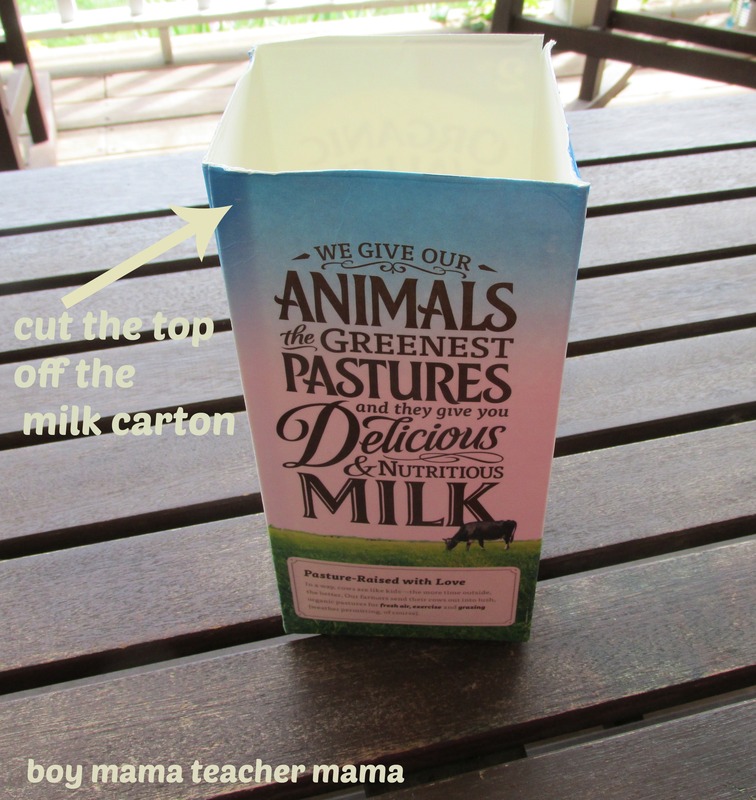 Cut the top of the carton off completely. 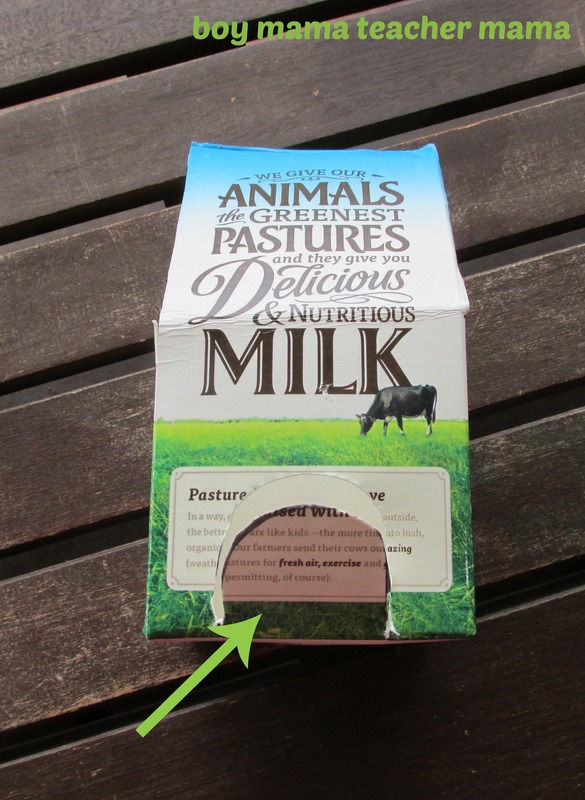 Measure from one side of the carton to another to see how wide each side it. 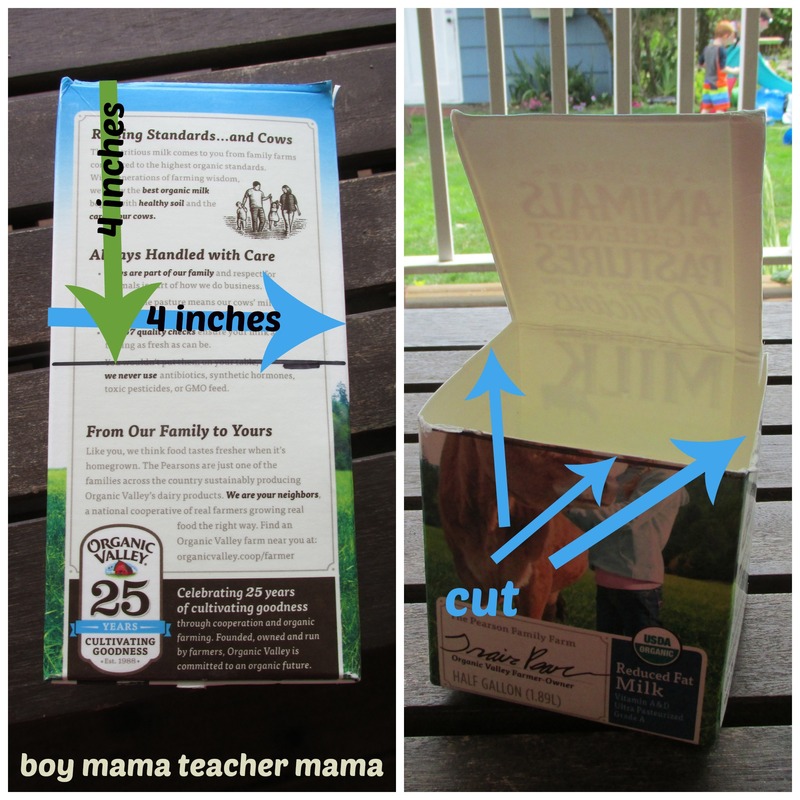 My carton measured a little less than 4 inches. 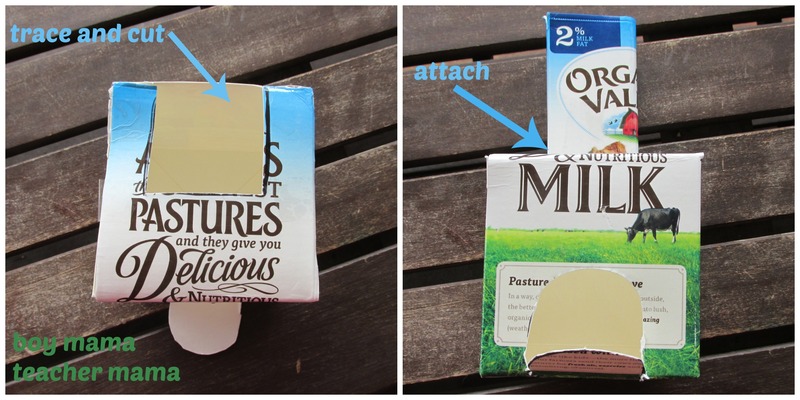 Then measure 4 inches from the bottom of the carton and draw a line. The photo above shows to measure it from the top down, but that was my mistake. Sorry! 🙂 Then cut off 3 of the 4 sides. Leave the fourth side attached. Try to cut the 3 sides off in once piece as you will be needing it to create the tower in a later step. Bend the fourth side down and tape it in place to create a cube. Cut a dome shaped hole in the carton. This is where the balls will exit the carton. 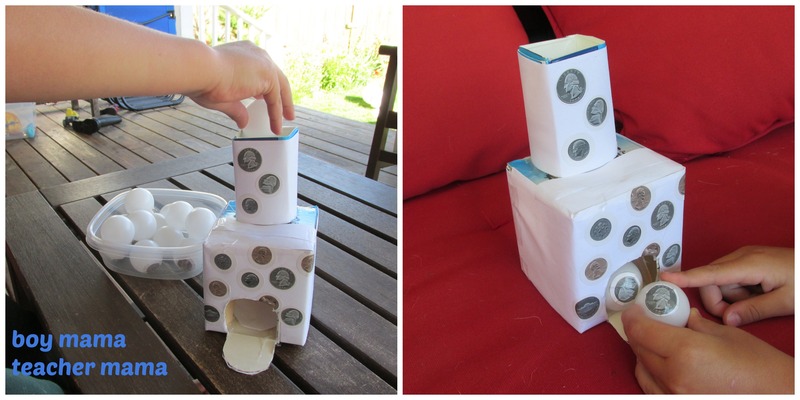 Using the piece you cut off, create the tower by folding the piece into a rectangular shape as shown above. Tape it so it stays closed. Trace the tower on the rear part of the top of the cube. Cut it out. Insert the tower and affix with tape. Your tower is now complete and ready to use. If you want to cover it with paper and stickers as I did below, feel free, but it is not necessary. 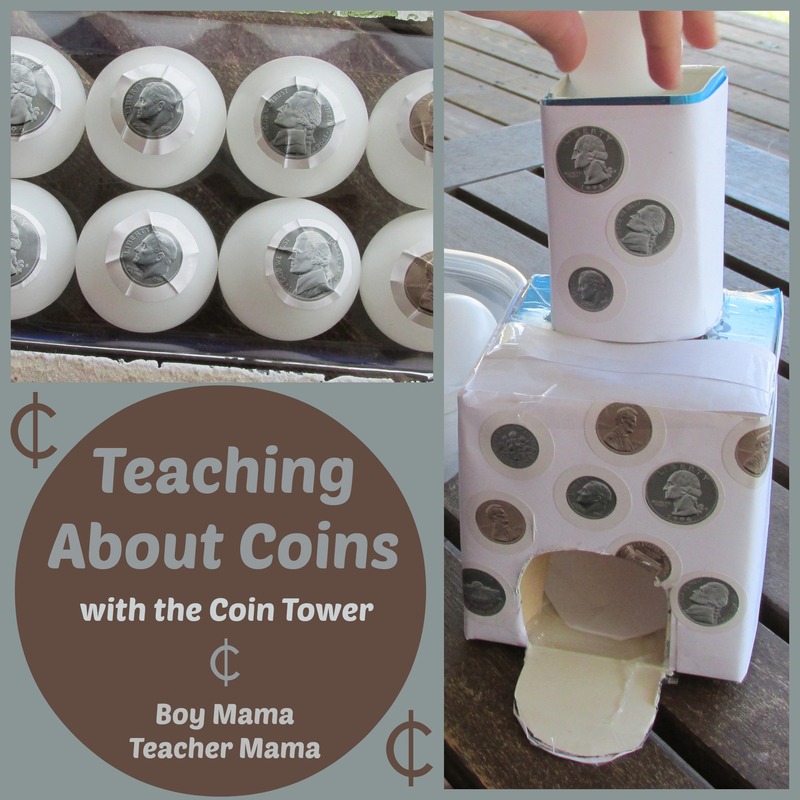 Drop them in very quickly and see how fast your child can name each coin. 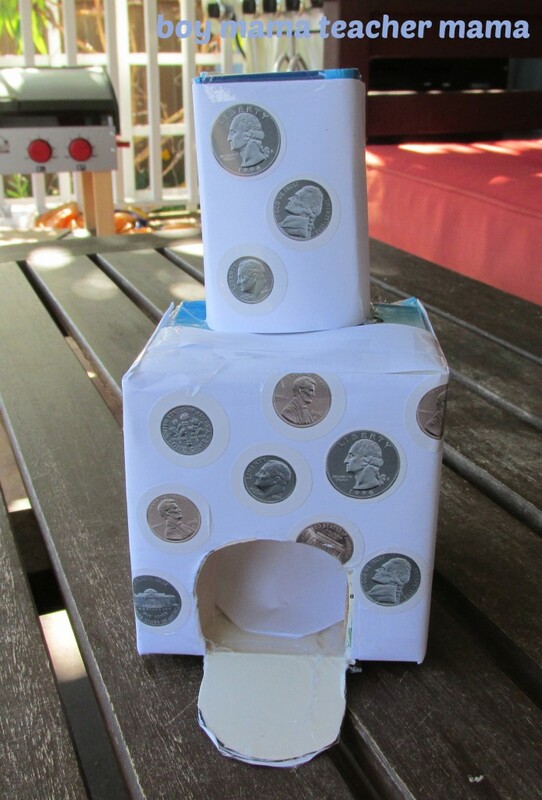 Drop one ball with each coin in the tower and have your child order them from least to greatest value. 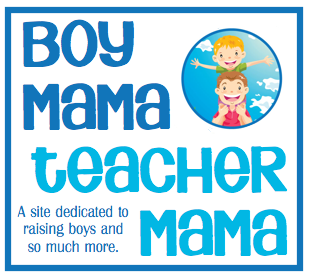 Drop several balls a a time and have your child add up the value of the coins on the balls. NOTE: As we were playing, the balls were getting stuck below the tower. I simply took a piece of cardboard, glued it underneath the tower on one end and on the bottom of the box on the other end (behind the opening) creating a ramp. This fixed the problem and the balls flow perfectly!